Accurate MLS Results - Updated Daily! eAgentHomes.com is your trusted source to find the best results when searching for any kind of real estate along the Mississippi Gulf Coast. Want to find homes for sale within a specific school district? No problem! Just choose the school district from the drop down menu. 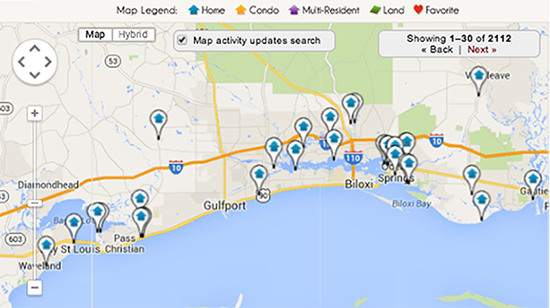 Want to find the best foreclosure deals in Gulfport or Biloxi? Just start searching under "Foreclosures" and you're there! No matter what you are searching for... we have you covered for all of your real estate search needs. 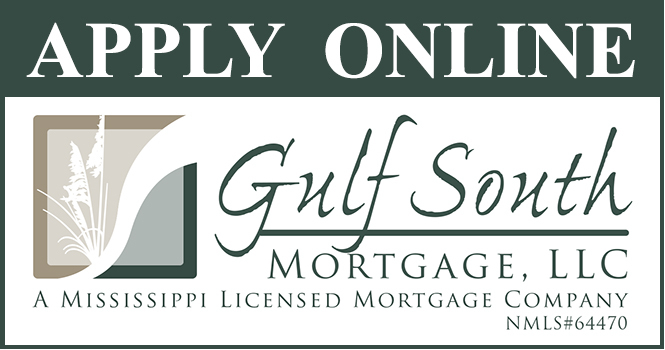 We update our site from the MS Gulf Coast MLS multiple times daily! Don't forget about our Advanced Search page for even better results! You've Made a Decision to Buy a Home... Now What? Buying a home is one of the biggest investments and financial decisions you can make. While it is a major commitment and responsibility, it is also a very exciting time in your life. There are many positives to gain for your commitment to purchase a home in today's Mississippi Gulf Coast Real Estate Market. With that said, it's important to keep in mind that home buying is a complicated process. We will be working hard to make sure that everything is as rewarding as possible, guiding you at every step and making sure that your needs and desires are met. We've made the process simple with 3 easy steps! The very first thing to do is to look at many homes online to see what you like and what you don't like. This will save you time and energy before we start the home viewing process. You will start to cross off your list many areas, home styles and features by simply looking at the results from your Power Search. Don't forget to save your search by clicking on the "Save This Search" link at the top left of your search results page. By saving your searches, we will be able to email you new homes or pricing changes so you are as up-to-date as possible with what you are searching for... "The best home for the best deal possible"! Once you find some homes you like, add them to your favorites by clicking on the "Add To Favorites" link just above the price on the property details page. This will allow you to come back to them to compare once you've done your initial searches. You can always delete these homes later if you decide. Don't forget to look into New Construction Homes... there are great incentives to buy a new home over a used one these days. Once you have some homes added to you favorites, give us a call at (228) 382-3113 or just click on the "Schedule Showing" button to get started. This way we can start to setup a day to view your favorite homes to see if they stack up to the hype of the online pics and property details. Some will and some won't... it's just part of the process. Click on Map to Start Power Searching! Zoom in to narrow the map's interactive search results. Click on the map to get started! those of you maybe looking to move to the area, you are in for a surprise! First of all... the Biloxi / Gulfport area is not like New Orleans or Mobile. The Mississippi Gulf Coast has many differences as we will highlight below. 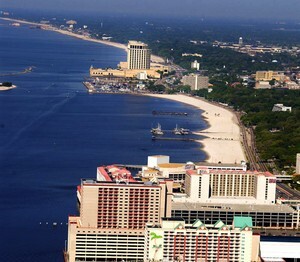 From the white sandy beaches to the casino entertainment, you will enjoy many places the coast has to offer. With every hurricane that comes ashore, there is an opportunity to rebuild with new ideas and mix of old and new to give this area a flavor to call its own. Hurricane Katrina is no exception here... many places were washed away along with great memories, but many new memories will be made with newly renovated buildings and downtown districts. One huge benefit was rebuilding schools with state of the art classrooms which is evident in the rising school ratings of many areas. A renewed pride among students and staff surround many local schools, so remember to check out the school ratings as well by searching for homes by school district in the Advanced Search section at the top of any page, under "Search by School District". Even if you don't have children, remember that better school zones equal more desirable areas and higher valued property when it comes to reselling your home. To learn more about each city we call home, please visit our city pages listed to the right. The city pages have information compiled to give you a unique look into each city as well as some favorite neighborhoods that showcase why people are flocking to the MS Coast to visit... stay... and retire! Listing courtesy of RE/MAX Results In Real Estate, Inc.. Listing courtesy of Jay Randall McKnight, Broker. Listing courtesy of GARDNER, REALTORS-BSL. Listing courtesy of Coldwell Banker Smith Home Rltrs-Gautier. Listing courtesy of Rovira Team Realty, LLC. Looking for the perfect home in the perfect place? Chances are you'll want to check these areas first.